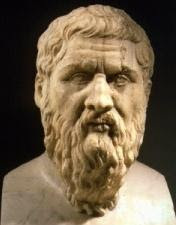 "The Greek philosopher Plato wrote some works, denominated "Dialogues," in those he tried to explain his conception of the world. Two enigmatic dialogues were the calls Timaeus and Critias. In them, in hardly some lines, about twenty pages of a normal book, Plato wrote the news about a gigantic continent that had disappeared only in one day, swallowed entirely by the ocean. Interlocutor: The first question that I’d like to ask you is: what was Atlantis in fact? 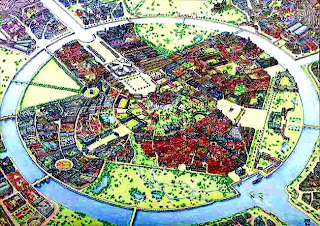 Ruanel: Atlantis was a city built on an island. In that time, there were not so many writings; the old men of the different regions transmitted in councils the history of Atlantis as supposed legends. Plato captured one of those legends and he wrote it down. Interlocutor: Concretely, Atlantis existed then, and it is not a myth. Ruanel: Correct, and it was an island, not a continent like many people say. Interlocutor: Where was it located? Ruanel: It was close to the Mediterranean Sea. Interlocutor: The island would have had 11.000 km2, was it something bigger than China? Ruanel: No, ten times less: 400 or 500 km2. Ruanel: It was destroyed because of an exorbitant growth of energy caused by a research not well performed. Interlocutor: Research about nuclear energy? Ruanel: No, Research about light energy. Interlocutor: Did it collapse immediately? Ruanel: Correct, after tremendous cataclysms. The fact of having experimented with light energy provoked tremors on the Earth's crust, and there were many earthquakes that destroyed the city. Interlocutor: How long did it take to collapse, two months, three months? Ruanel: No, very much less. The collapse happened in few days, because the cataclysms that took place due to the research were truly gigantic. Interlocutor: Are we speaking of cataclysms provoked always by human factor and nothing to do with natural cataclysms that could have accompanied them? Ruanel: It was exclusively due to a human factor. Interlocutor: When did Atlantis disappear? Ruanel: Approximately 24.000 years ago. Interlocutor: Was the rest of the planet uninhabited in that time? Ruanel: No, not at all. There was homo sapiens sapiens, although in a primitive state. Interlocutor: Was Atlantis an advanced civilization? Ruanel: Yes, in some aspects it was. They even had enormous domes of energy that isolated the city from climatic external changes. Ask one question more, because the vessel is totally destabilized. Interlocutor: All right. It is said that some islands, as West indies, Canary Islands or Azores are emerged remains of the "continent" of Atlantis or the highest summits of the same one. Ruanel: Discard that completely. They are close but they don't have any connection with Atlantis. Interlocutor: And with the Bermuda Triangle? This entry was posted at Tuesday, May 26, 2009 and is filed under Lost Civilizations . You can follow any responses to this entry through the .